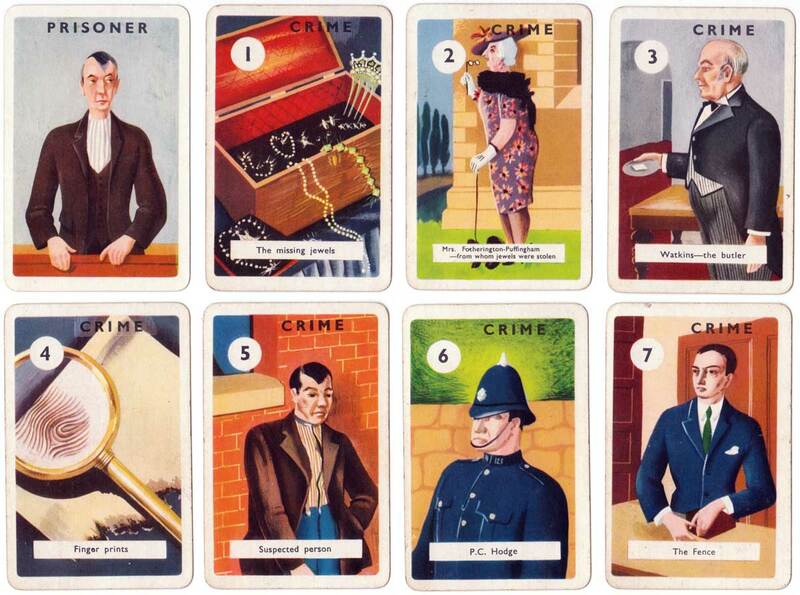 This card game has 51 cards with titles, numbers and pictures of crime, detection and punishment. Like the game “Krimo” and other crime games from the 1930s, it promotes the moral idea that crime will be detected and punished. 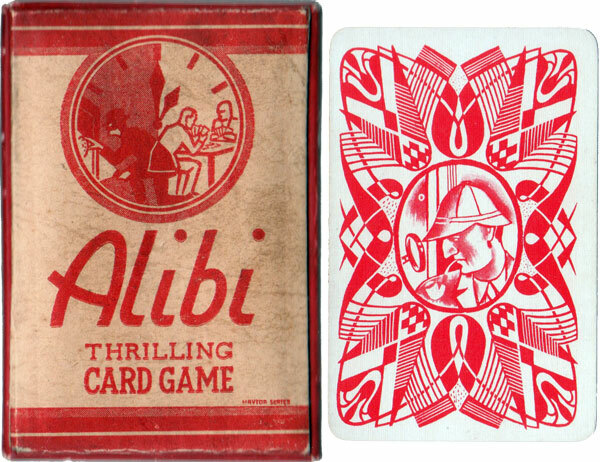 Above: “Alibi” the thrilling card game by Haytor who published as Tor Productions, 1930s. 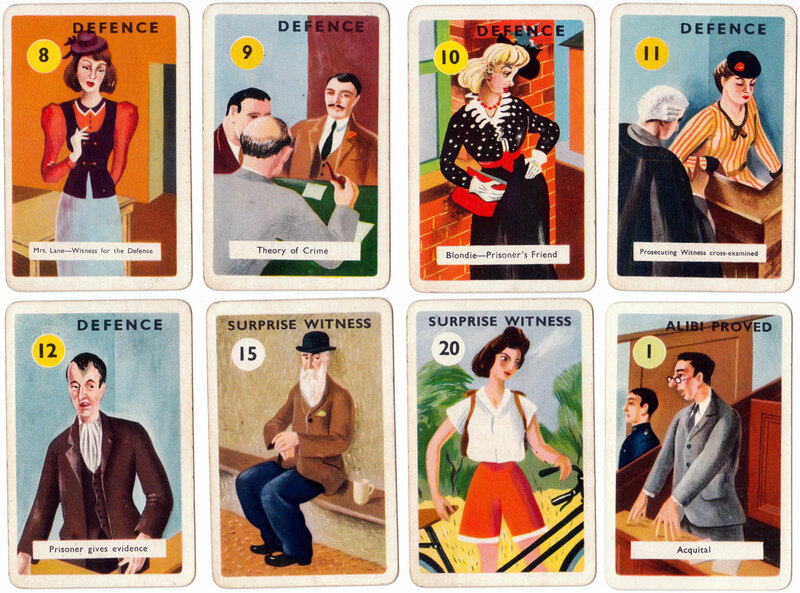 Total 51 cards divided into 4 sets of 12 - Crime, Prosecution, Defense, and Alibi, with three additional cards - the ‘Prisoner’ and 2 ‘Surprise Witness’ cards which act as trumps. 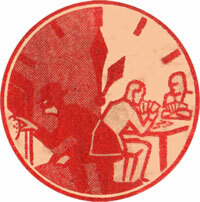 The box shows a burglar and some card players, whilst the reverse shows a detective who resembles Sherlock Holmes. Images courtesy Rex Pitts.